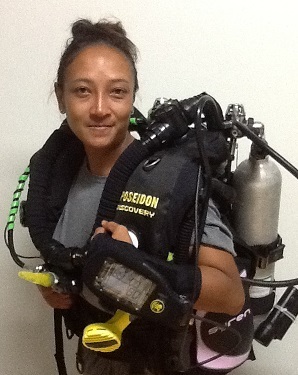 Qualifies you to dive into 18 meters using Recreational Rebreather. I train Poseidon MKVI/se7en in Phuket and in Finland with my own units. You need to be at least 18 years of age and EANx certified Open Water Diver with at least 25 dives in your logbook to start this Rebreather Diver course. Before we start You need to read through Poseidon MKVI user manual and then chapters one through three from PADI Rebreather Diver manual. After having read you will whach PADIn Rebreather Diver skills DVD. You also do knowledge reviews of PADI Manual before we meet. When course starts we make sure that paperwork (liability release, safe diving statement and medical) is complete and go through knowledge reviews and have a look into Poseidon Mark 6 manufacturer slides show and problem solving. 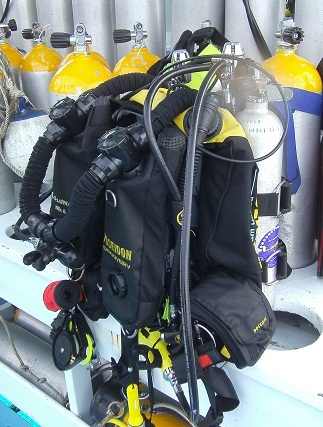 Then it is time to assemble your unit once or twice and go into water to practise diving with Rebreather. Bouyancy control is most difficult but you learn it reasonable soon. We go into water six times during your Rebreather Diver program. During first dive in the pool we stress a lot about basic skills like closing mouthpiece before you take it out of mouth and some emergencies. Second dive we could do in pool, confined water or even in open water. As your instructor I will choose the best environment for your learning. Dives three through six will be conducted in open water and in first dives there is more practices and less “free time” but in later dives we repeat some of emergency exercises and spent most of time looking at fish and playing with buoyancy. We need to get 240 minutes of divetime during the course but that is not any problem. You do your first day in classroom and in the pool/ Confined water. Possibly we also go and make a beach dive. Next days we go from beach and from boat so you will learn different entry methods and will get different envirenmonts as part of your training. Note that you pay for your training but you have to earn your certification. Unlike othet PADI courses it is not enough tat you “just” fulfill performance requirements, you really have to show that you also think as Rebreather diver Rebreather Diver. After your certification you are qualified to dive with Poseidon Mark 6 but also ready to advance into Advanced Rebreather Diver course. Price for Rebreather Diver course is eur1200 incl training with unit MKVI/se7en and scrubbers for three days and PADI Rebreather Diver Manual. If You need more training to be comfident You do need to pay additional boat fees and srubbers.